It’s easy to assume that happily-married Kat, who’s retired from her legal-assistant gerbil wheel, was born with a silver spoon in her mouth, owned every Barbie doll, and lived in spacious homes maintained by weekly housekeeping. That’s because, these days, Kat enjoys the attention of a generous husband and a lifestyle that includes world travel and philanthropic projects for the community. 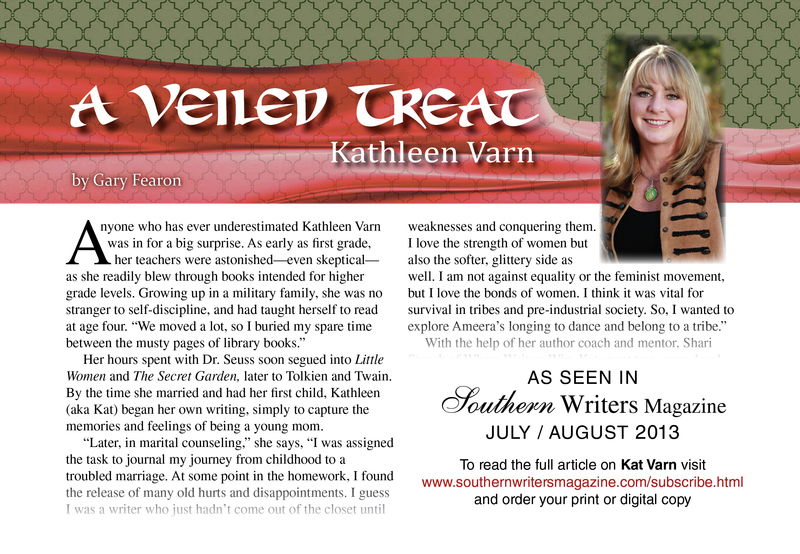 But, as the oldest of four daughters growing up in a transient military family during the 1960s and 1970s, Kat dutifully sacrificed the spotlight and any long-term friendships. As a teen, she sought fellowship among her fellow Pentecostals and eventually married a pastor’s son. Her dream of a nurturing family evaporated soon after the honeymoon, however, when she realized that the man she’d married would never be her partner. An unexpected pregnancy, combined with a spiritual dogma that controlled believers through guilt, complicated her ability to extract herself from a lonely marriage. As her husband attempted to isolate her, Kat sought fulfillment as a new mother and through a budding legal-assistant career. After 16 years of emotional and physical abuse, Kat broke out of her shell and divorced her husband. Years later, she is rewarded with a happy second marriage. So, when her son graduates from high school, empty-nester Kat decides to break out of another shell to try her hand at belly dancing. Her teacher’s insistence that Kat perform and learn advanced choreography keeps Kat off balance as she tries to overcome a childhood ghost: the denial of her natural desire to dance. What begins as a hobby leads to Kat joining the Palmetto Oasis Middle Eastern Dance Troupe. With little time to prepare, Kat is thrown into a world of performing that she is terrified to face—all leading to a week of giving lessons and performing in Jamaica. Through associating with eight glittery strangers, Kat forges deep bonds of friendship under outrageous circumstances … at a clothing-optional resort! The week exposes encounters with a Swingers’ club, a palm reader and his body-painting wife, and nightly resort themes that challenge Kat’s naïve upbringing. Initial resistance by the local entertainment manager to support the dancers quickly set the sights of the troupe on accomplishing all their goals. The troupe, by balancing its mission statement with the “hedonistic” platform of the resort, rallies to embrace and change the experiences of many annual resort visitors. Kat’s resilient spirit, in spite of years of isolation and soul searching, embraces and is embraced by a group of women who’re mystically joined through their love of a shimmery dance. 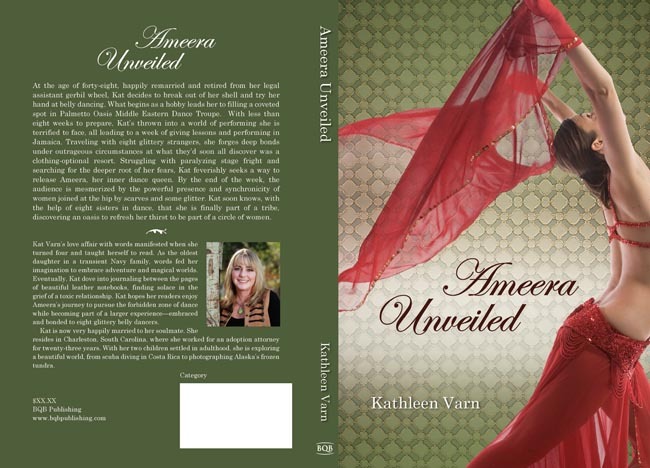 Struggling through paralyzing stage fright while she searches to understand the deeper root of her fears, Kat feverishly seeks way to release Ameera, her inner belly-dance queen.